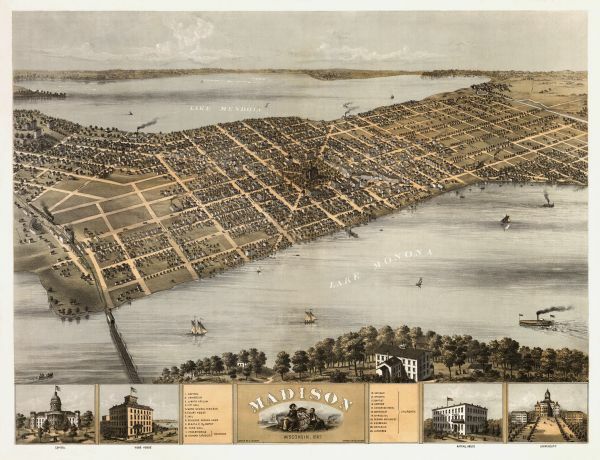 Bird's-eye map of Madison with insets of the University, Rasdall House, Vilas House, and the Wisconsin State Capitol. View includes cattail marsh, smokestacks and the Lakeside House. First of three bird's-eyes done for Madison.